This 36 acre property is very unique and very valuable. 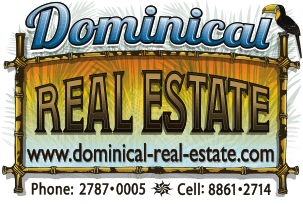 It is located just a few minutes off of the paved coastal highway and a few minutes from several beautiful beaches. The property has a 2 bedroom ocean view home with a pool that is currently a very succesful vacation rental plus it has a caretaker home. The property has 400 meters of road frontage and sits on both sides of the road. The northern part of the property has amazing sunset ocean views looking north towards Manuel Antonio. That portion of the property also has internal roads and many building sites. It is also extensively planted with tropical fruit trees and guadua bamboo which is ready to be harvested. The portion of the property that sits on the southern side of the road is very flat and usable and has epic ocean views along the southern coastline including the famous whales tale. This property is perfect for a boutique hotel or a high end condo project due to the location, access, and views. There are very few properties that compare to this.